« Beware the Latest Mortgage-Relief Scam! It hardly seems possible that mortgage rates can get much lower, but they have. Homeowners are taking notice and refinancing their mortgages. 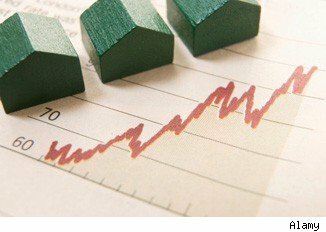 Freddie Mac reports that 30-year fixed-rate mortgages have reached an all-time record low at 3.4 percent for the week ending Sept. 27, down from last week’s 3.49 percent. So if you’re on the fence because you are afraid that refinancing (again) will hurt your credit, relax. While that makes refinancing sound like a no-brainer, there are a couple of potential traps you’ll want to watch out for. The first is the impact of shopping for a new loan on your credit scores. Each time you apply for credit, that sparks an “inquiry” into your credit history. “The typical additional inquiry can be expected to lower a credit score by five points or less,” says Barry Paperno, a credit scoring industry veteran and manager of the Credit.com forums. The take-away? If you are going to shop for a new lower-rate home loan, it’s a good idea to do so in a relatively short period of time. The other risk when you refinance? A missed mortgage payment. This trap isn’t common, but if you’re affected, you can see a significant drop on your scores. It works like this: You are approved for a new loan to pay off the current loan. Your loan officer tells you that you can skip this month’s payment on your current loan because the new loan will take care of it. That’s true — provided the loan closes and funds on time. But if the payment from the new lender arrives more than 30 days after your current payment to your “old” lender is due, that lender may consider that last payment late. And one late payment can really hurt your scores. So keep an eye on the calendar, and if it looks like you might be cutting it close, talk with your lender and loan officer about making that mortgage payment to keep your good credit intact. If all goes smoothly, though, your credit report should list the old loan as paid in full with a zero balance. Pay the new loan on time and your credit will be just fine. Not to mention your budget. When is Debt Consolidation Legitimate?